If you or your kids like to experiment in the kitchen, you need some real carpet cleaning skills. You must know how to wipe up the spills and stains resulting from a chicken salad, fried chicken, or some pasta sauce. This is in particular true if your dining area is carpeted. Fortunately, we have you covered. 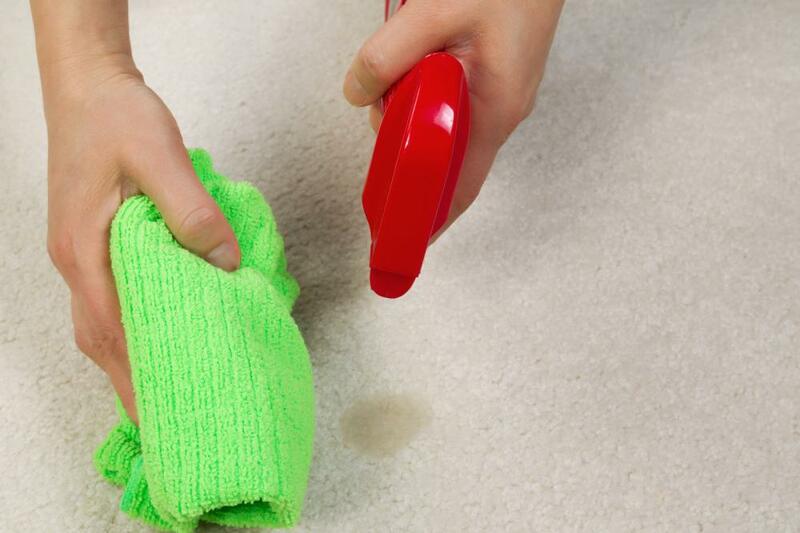 Keep reading below to learn how you can effectively get rid of oil stains from carpets. In order to learn how to get rid of oil stains in carpet, you must blot the oil-spilled area as much as possible. Make use of a porous material such as a towel, cloth, or even some brown paper. Don’t use a newspaper as the ink could transmit onto the carpet and lead to an even bigger, stubborn stain. Once you blot the area, cover it with some absorbing powder such as corn starch or baking soda. Allow it to settle for at least a day. Next, plug in a vacuum cleaner and start cleaning the powder to see how well the stain has gone away. If there’s no stain, that’s great news. However if there’s still some left, refer to the next step. Calling in Professionals or Sticking with DIY? The next step is making use of a dishwashing soap solution to clean the stains. You will find countless tips and tricks on the internet raving about how effective and carpet-friendly dishwashing soaps can be for carpet stains. Given how pricy your carpet is, would you dare to take a risk and use chemical-based cleaners to get rid of the tough oil stains on it? We insist that you don’t. Instead, rely on Excellence Janitorial Services & Carpet Cleaning where we make use of the most eco-friendly carpet cleaning products and methods to provide you with long-lasting carpets. We understand that it takes time, effort and patience to deal with carpet stains as tough as oil marks. Using our popular hot water extraction method, we combat some of the most resistant carpet stains in a gentle, yet effective, manner. We offer our carpet cleaning and repair services to restaurants, rental properties, offices, health centers, retail stores, and many more – assuring customer satisfaction. Call (661) 833-0934 to hire our janitorial and carpet cleaning services in Bakersfield and surrounding areas.